The 18-month assessment is focused on the Maine Dept. of Health & Human Services' Child & Family Services Office, which oversees child welfare. 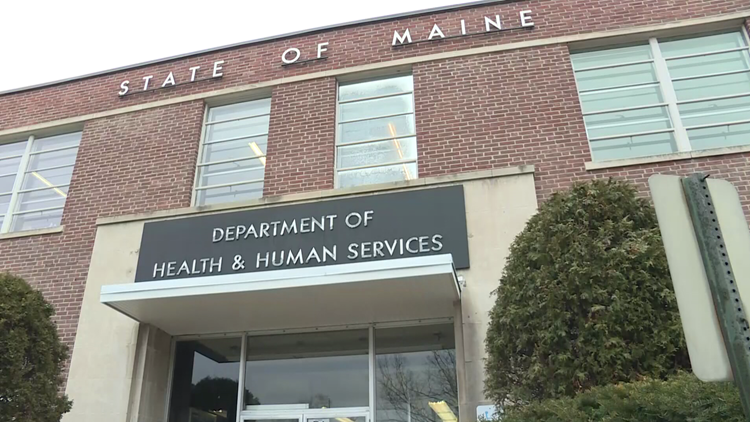 AUGUSTA, Maine — Maine's Department of Health & Human Services (DHHS) on Friday released the findings of an external evaluation of its Child & Family Services Office (OCFS), the first of three phases in an 18-month assessment being carried out from October 2018 to March 2020. OCFS has faced "disproportionally large" public child welfare challenges given the state's population, the report states. To conduct the evaluation, DHHS hired Public Consulting Group (PCG), a Boston-based business management firm with offices in Augusta. Phase one focused on the OCFS' business process. Phase two, for all of 2019, focuses on permanency and adoption while implementing plans from phase one. Phase three, from January to March 2020, develops sustainability plans. Just eight case records were selected by the office for PCG's review. Due to the small sample size, PCG said "it was difficult to generalize the findings as typical case practice." Still, they called the cases "valuable" for their "opportunity to take a deep dive into some of OCFS' most difficult cases to determine what the core issues were and what could be done differently …"
Agency staff dedication was identified as one of the OCFS' leading strengths. PCG praised the staff's willingness to work together, support each other and desire to help children and families to improve their lives. According to the report, a survey showed 61 percent of staff indicating the most enjoyable part of their job was helping to improve the lives of children and families. Communication, documentation and provision of services were also identified by the consulting firm as "positive findings" or strengths at the OCFS. Areas of improvement included the Maine's Automated Child Welfare Information System (MACWIS); intake hotline phone system; additional staffing lines for the intake unit; implementation of the structured decision-making (SDM) tool throughout additional units beyond intake and investigation. Both MACWIS and the intake hotline are slated to be replaced soon, the report said. RELATED: Kendall Chick and Marissa Kennedy died of child abuse. How can Maine ensure it never happens again? Statutory time frames were exceeded in most of the eight case reviews, the report states. In one case, jeopardy was not found until one year later, and 16 months after the case remained open with no permanency plan implemented. "The agency struggles to maintain momentum" once a case is opened, according to PCG, completing only 66 percent of assessments within its 35-day policy. Caseload sizes in Maine (1:10) are reasonable compared to Missouri (1:30), North Carolina (1:18), Oklahoma (1:30) and Kansas (1:38). But the report states one trend isn't helping the OCFS: caseload sizes are increasing because the overall number of caseworkers in Maine is at its lowest point in five years while the number of cases and assessments are the highest they've ever been. PCG also recommends Maine follow a performance-based contracting model from Tennessee, rewarding effort and outcome. "Because Maine is challenged by its rural nature," the report states, "it is critical that contracts be structured in a way as to sustain the resource as well as provide for accountability." Only 66 percent of intake calls were answered by a live person from January to October 2018, according to OCFS statistics listed in the report. Roughly 20 percent of the 30 percent of calls that did not get answered were abandoned. "That means a fifth of the people who are calling to report suspected abuse or neglect give up waiting and hang up," the report states. Additionally, statistics show maximum wait time for answered calls in a month has been as high as 90 minutes in August 2018 and as low as 34 minutes in February 2018. OCFS staff's top three policy areas identified via survey as in need of the most clarification were documentation (34 percent), child protective assessments or investigations (32 percent) and teaming (31 percent). After-hour services, non-adoptive permanency and reasonable efforts were the next three. When asked via survey what one thing could improve their overall efficiency, OCFS staff's answers fell into the following categories listed by PCG: lower caseloads, more assistance from support staff and improved communication. Better ways to document case activity were also noted, the report states. In perhaps an overall assessment conclusion, PCG says the OCFS needs to prioritize a complete realignment of its policy with practice. "OCFS has a clearly outlined practice model," the report states, "but the day-to-day practices do not align with policies." Staff noted to PCG that guidance from leadership has either eliminated the practice, practice is different across districts and offices or oversight has let enforcement of the practice slip.